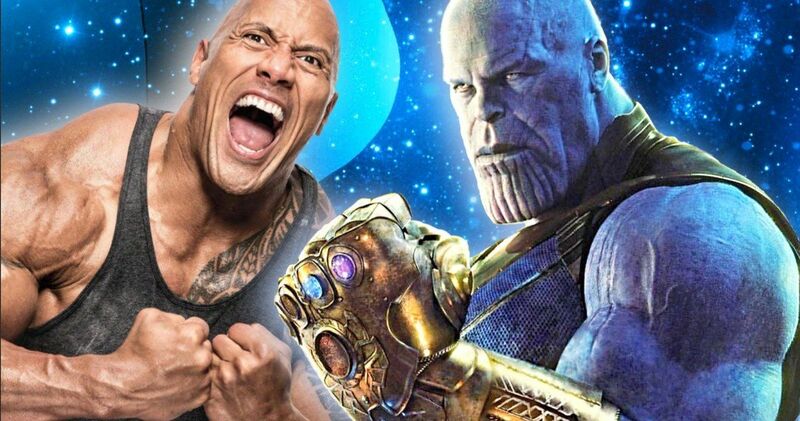 Avengers: Endgame star Josh Brolin and Dwayne “The Rock” Johnson had some fun on social media over the weekend. Thanos and Hobbs (from the upcoming Fast and Furious spin-off Hobbs & Shaw) are ready to throw down after trading insults on Instagram. Brolin is getting hyped for Endgame and wants to let everybody know that Thanos is still a very real threat, even though the has not been shown a whole lot in the promotional material for the highly anticipated sequel. His Decimation at the conclusion of Infinity War still has many MCU fans scarred for life. Empire Magazine shared their two Avengers: Endgame covers over the weekend and one of the covers is dedicated solely to Josh Brolin as the villainous Thanos in his new armor. It’s the first and best in-depth look at the Mad Titan that we have seen so far. Brolin captioned his photo by saying, “Eat your heart out The Rock. I’m coming for you next, little guy.” Nobody really thought too much else about it. Instead fans were just noticing how awesome Thanos looks on the cover with the full Infinity Gauntlet in all of its glory. While some fans were expecting Dwayne Johnson to never see the post, he most certainly did. Johnson caught wind of Josh Brolin’s humorous post and decided to respond in a way that may be too graphic for some younger readers or those who are not into NSFW humor. Johnson had this to say in response to Brolin’s original post. It’s not clear where the RoboCop reference comes from, but it is very clear where the Infinity Stones reference comes from. And now, we don’t want to think about those stones any more. While Dwayne Johnson’s response is pretty great, one can’t help but think that he missed the boat on a better Thanos dis instead of calling him another character from another franchise. Purple Homer Simpson is always a good go to, or even something else that has to do with the villain’s chin. Regardless, this is obviously all in good fun and we’re all anxiously awaiting Josh Brolin’s response. Now, all we need to do is hit up artist extraordinaire BossLogic so he can whip up some custom artwork that features The Rock vs. The Mad Titan, since that will probably be the only way that we will ever see such a spectacle. Could Hobbs from the Fast and Furious franchise take down Thanos in a battle? Probably not, but there are probably plenty of people who would disagree with that opinion. You can check out the “feud” below, thanks to Josh Brolin’s Instagram account. Dwayne Johnson’s response is buried and near the end of the comments section.